It is our third week into the $100 Room Challenge and this week I am going to show you how to faux shiplap with a Sharpie paint pen! We only have one more week to go until the final reveal! I got so much done this week but I am going to show you the wall treatment project that I did. On Wednesday, I packed my car with all the supplies that I might need and there were a lot of supplies since I wasn’t positive what supplies would work best for all of my projects. 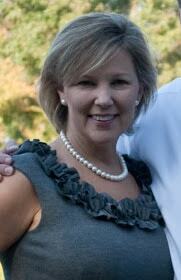 I drove to the lake house fairly early Thursday morning to work on the feature wall and a few other projects. I know I want this room to be rustic and outdoorsy and I want the feature wall behind the beds to be different from the other walls. I love wallpaper but wallpaper is not in the $100 budget and I have removed wallpaper in 6 rooms in our home so I am not going to wallpaper even though I know that wallpaper is so much better today. I thought seriously about stenciling something like a herringbone pattern or some arrows on the wall but I wasn’t sure how it would look. 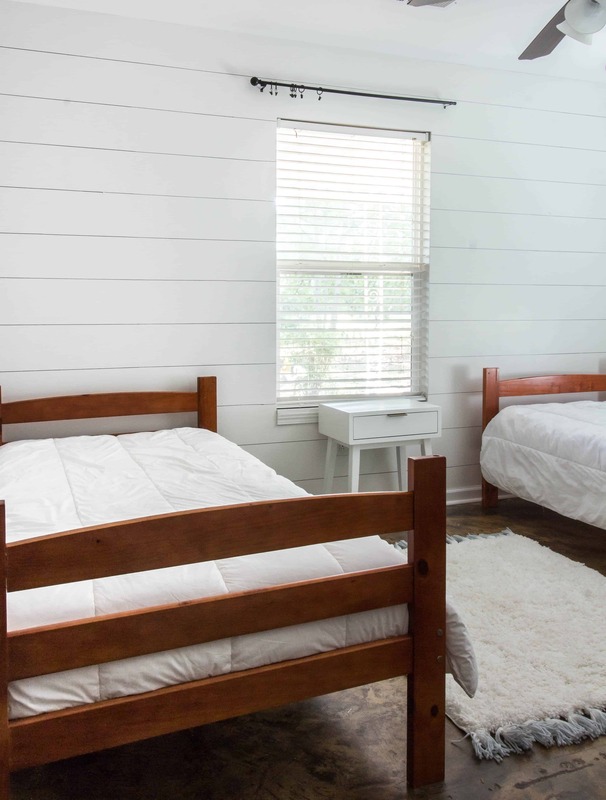 So I went to Pinterest and searched “rustic twin bedrooms” and I was drawn to the shiplap walls for the look that I am going for. Now, shiplap is out of budget but I have seen many girls draw shiplap walls with Sharpies on IG and Pinterest. I wish I had thought this idea up but it has been done and I know that it looks like the real deal. The best thing about committing to the faux shiplap with the Sharpie Paint Pen and probably the main reason I chose this wall treatment was the price. I had enough white paint left over from my DIY Faux Floral Wallpaper with a Sharpie for the wall and the Sharpie would cost less than $3 so I am sold on the idea. TIP: You must use a Sharpie Paint Pen instead of a Sharpie Permanent Marker. I did not take a picture of the black paint pen but this is the one I used for a previous wall treatment. It says Sharpie paint. I did the research when I did the floral wall treatment and everyone said to use the paint pen because it is very easy to cover up when you repaint the wall. In fact, I made a few errors and I covered the error with my wall paint and a tiny paintbrush so that draw the line again. Shiplap is 6, 8, and 10 inches wide and I like wider planks so I made my lines 8 inches apart. The lines you draw should be the thickness of a nickel and this paint pen worked perfectly. I read to mark little lines with a pencil every eight inches from the top of the ceiling and not from your previous line. I kept a ruler, leveler, and Sharpie Paint Pen in my hands at all times. I held up the ruler on the small pencil mark that I had made and made sure that it was level. 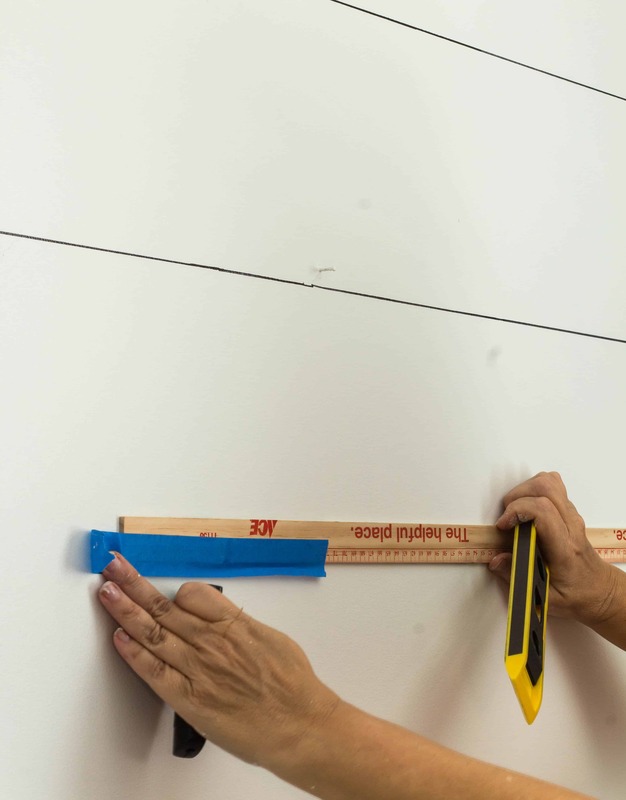 You can use a piece of painter’s tape to hold the ruler in place while you draw your lines. Remember that the lines you draw should be the thickness of a nickel. It doesn’t have to be perfect because boards are not always perfect but if you make mistakes, just paint over them with the wall color paint and a small paint brush. Let dry and redraw it. I can’t wait to see everyone’s reveals next week. Don’t forget to visit all of the other rooms. Whoa! I’m super impressed with how real it looks! 😱 Already plotting where I can do this in my house!!! It’s so bright and lovely! I can’t wait to see it all finished next week! I’m so glad you mentioned the difference between a regular sharpie and a paint sharpie. I never would have thought of that and I’m sure you just saved me from a future disaster! It looks so bright and pretty in here and I can’t wait to see your reveal! 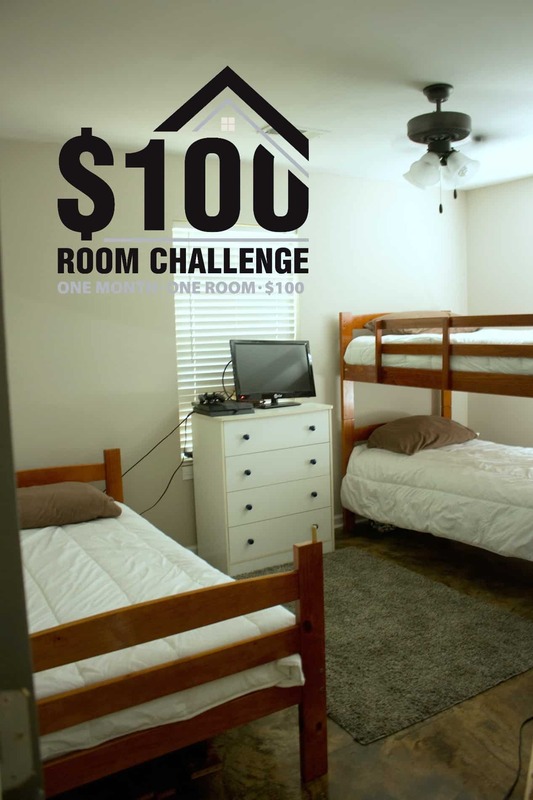 Your wall looks better than the one I did in the last $100 room challenge! 😛 Great job! Looks fantastic! Can you tell if you get really close up? Thank you! My husband and I say that when you walk into the room, you definitely can not tell. I think it looks good close up and the only thing that would give it away is that the wall is so smooth and wood is not smooth. So they only reason you used the sharpie paint pen is to cover up later? A regular sharpie will still work?